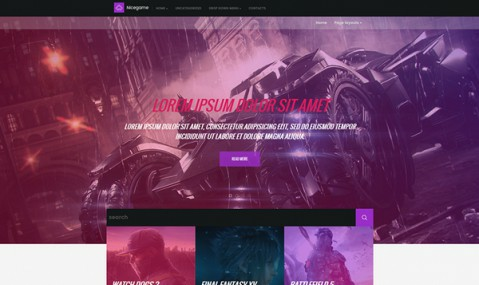 A bit aggressive design of the NiceGame premium WordPress theme says for itself. This framework is aimed to win. Vivid purple elements, wide slider is spread along the entire screen, but can be hidden on inner pages if it is needed. Both menus are cusomizable and can be esily removed as well. All these elements are flexible and adjust to any screen size. We made an emphasize on website search – it takes center position and has a full content width to make easiser find the game or review for visitors of your website. Have the best experience with NiceGame.